OFV804P (1976) Bedford SB5 . Willowbrook B42F. Ex-British Aerospace . Preston 132 . Seen 1992 Ashbourne . Derbys. 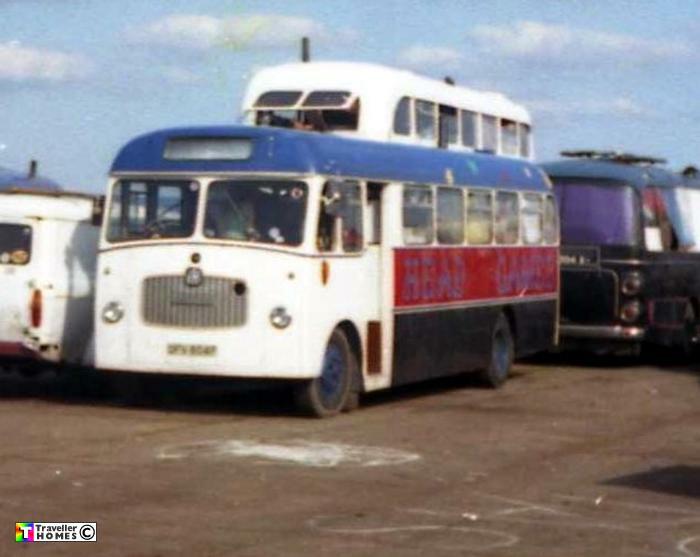 The 'upper deck' is in fact Danny's decker behind & not part of the bus .. Later scrapped , but the group reformed & is still making music ! Photo = Gibo .